Dortmund- Germany is gearing up for this season’s first instalment of its very own 'Clasico' this weekend, with FC Bayern München entertaining Borussia Dortmund in the late Saturday kick-off. Once again, fans in over 200 countries around the globe will have the opportunity to watch a live broadcast of all the action unfolding as these two Bundesliga titans go head-to-head. In stark contrast to virtually every other league encounter between them in recent years, however, this is no summit meeting. In the Munich camp all is proceeding pretty much to plan, with Bayern four points clear at the top of the standings nine games in and already boasting easily the division's most impressive credentials both up front (21 goals scored) and at the back (just two against). The defending champions were sorely tested in the latter capacity at closest pursuers Borussia Mönchengladbach last time out but when all other obstacles have been overcome, the opposition still have to find a way past Manuel Neuer and the world keeper of the year rose to the occasion with his standard-issue aplomb, pulling off some vital saves to secure Bayern a share of the spoils – and their seventh clean sheet in a row. A day earlier, Dortmund had, by no means for the first time, been left rueing chances squandered as they went down 1-0 at home to Hannover 96. A blow in its own right, the greater significance of the result lay in the fact that it was Borussia's fourth successive league defeat, a negative run unparalleled in over 14 years. Without a win since Matchday 3 and having lost five of the six games in the interim, Jürgen Klopp's men have tumbled to a lowly 15th place, just outside the bottom three. With barely more than quarter of the campaign played, they head to the Allianz Arena already trailing Bayern by 14 points. “It's gradually getting difficult to come up with explanations,” skipper Mats Hummels acknowledged after Saturday's defeat; “We weren't the worse team in any of those games, but we've still lost one after the other.” For his part, Klopp has put the club's stated goal of an automatic UEFA Champions League berth on hold for the time being. The coach wants his players “focused exclusively on the next game”, rather than “letting themselves be put under even more pressure” by pre-season targets. Dortmund's showing in this season's edition of Europe's elite club tournament, meanwhile, has thus far been as day to the dark night of their current Bundesliga malaise. Three wins out of three, at home to Arsenal FC and on the road at RSC Anderlecht and Galatasaray SK, nine goals scored and none conceded, leaves the beaten 2013 finalists sitting pretty at the top of Group D and well on course for the first knockout round. The disparity is quite eye-opening, not least in the defensive department, where BVB have not managed a single clean sheet in nine attempts in the league. Bayern, of course, are the team who denied them the ultimate triumph in that Wembley final just under a year and a half ago. Pep Guardiola's all-star ensemble have been strutting their stuff to equally good effect on the European stage, most particularly on their recent trip to the Eternal City, where they walloped AS Roma 7-1 in what must have seemed like an eternal contest for the home fans. Few are anticipating a similar demolition job to be done on BVB this weekend, although on current Bundesliga form the odds would seem to be more clearly weighted in Bayern's favour than has been the case for the last four years at least. 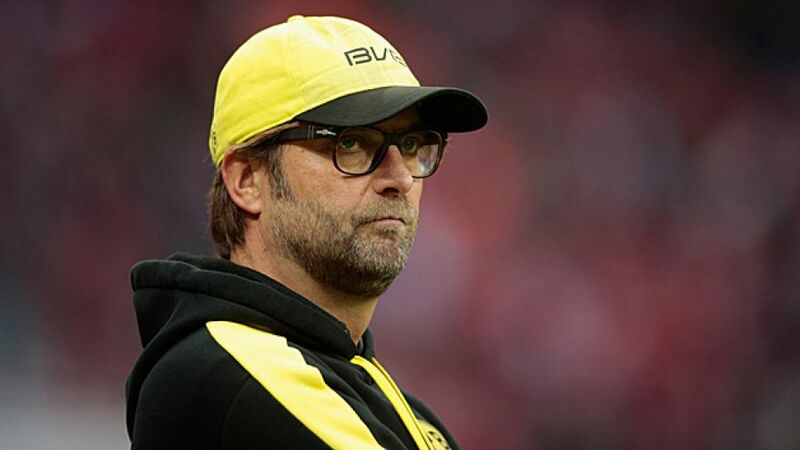 For his part, Klopp echoed his captain in alluding to chances spurned, against Hannover and others, saying, “We have to give ourselves our own reward, we're still not doing that. But we'll be sticking at it, rest assured.” If Dortmund can find that Champions League gear against European powerhouse Bayern, a dramatic turnaround in their Bundesliga fortunes could yet be on the cards in Munich.